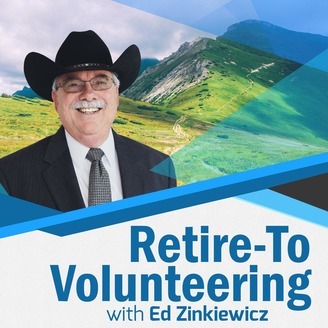 Host Ed Zinkiewicz uncovers engaging—sometimes surprising, but never dull— volunteer opportunities available to retirees. Interviewing volunteers and volunteer coordinators each week, Ed highlights the meaningful contributions volunteers make and also the rewards volunteers receive. Imagining a retirement that matters starts here. 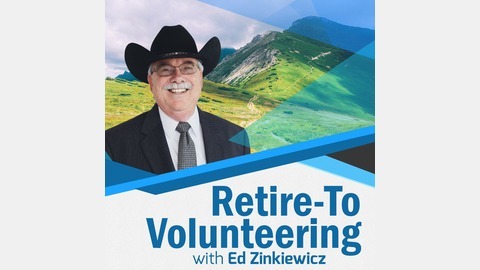 Sign up for Ed's free, weekly newsletter at retiretovolunteering.com and get listings of coming episodes. What’s a friend? Someone with whom you can laugh, someone who helps you with little things and big things, someone who makes you feel special—that’s a friend! Jan Lockard is good at being that friend to two ladies, who happen to be in a nursing home. That’s her volunteer service as a Senior Companion with the Tennessee Respite Coalition. Jan has two “special ladies” she stays with for eight hours twice a week. They look forward to their day because time with Jan is fun—something that is too often lacking for ladies in their 90’s in nursing homes. Jan is intentional about the “little things,” like playing Bingo or other games, taking her ladies to the onsite dining area to be with others instead of having meals delivered and eaten alone in the room, and setting up a personalized playlists of favorite music. She also listens to their stories of the good old days—something that busy staff aren’t usually able to do, but something a friend does willingly. Because she listens, Jan learns what might be “big things” for her ladies—and she follows up. Reminiscing one day, one of the ladies told Jan she had never had a visit with Santa Claus. When the jolly old gentleman was due for a stop at the nursing home, Jan made sure that the lady was there and actually got to talk with Santa. The 93-year-old left with a big smile, a teddy bear she treasured, and new memories to reminisce about. Another “big thing” Jan does is make each one’s birthday special—a birthday lunch that Jan prepares and invites the lady’s friends to come too. The party generates lots of laughter as everyone has a good time, and everyone at the table looks forward to celebrating their birthday with Jan’s special lunch. Although she is giving service, Jan says she is “rewarded every day.” She sees her special ladies light up and enjoy themselves. The families also express their gratitude. Eyes that sparkle and words of appreciation are seemingly little things, but they are truly big things between friends. For more about the Senior Companion program of the Tennessee Respite Coalition, listen to Retire to Volunteering Podcast, #96 with Jennifer Abernathy, the volunteer coordinator. Or visit tnrespite.org.